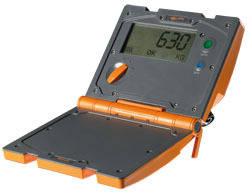 Entry Level automatic weigh scale with internal rechargeable battery. Very simple to use, easy to read and reliable. Large rotary selector knob. Locks on to animals weight, regardless of any movement.